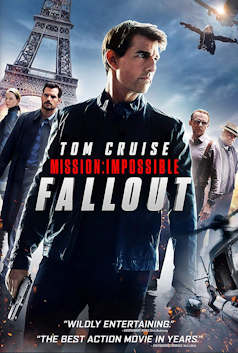 Now on DVD and Blu-ray! Buy now on Amazon.co.uk. 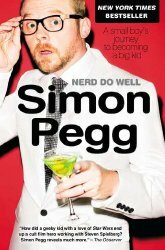 Fans of Simon Pegg and all he does: rejoice! The actor has another film on the cusp of debut and there’s a sweet, sweet, animated poster here for your viewing pleasure. 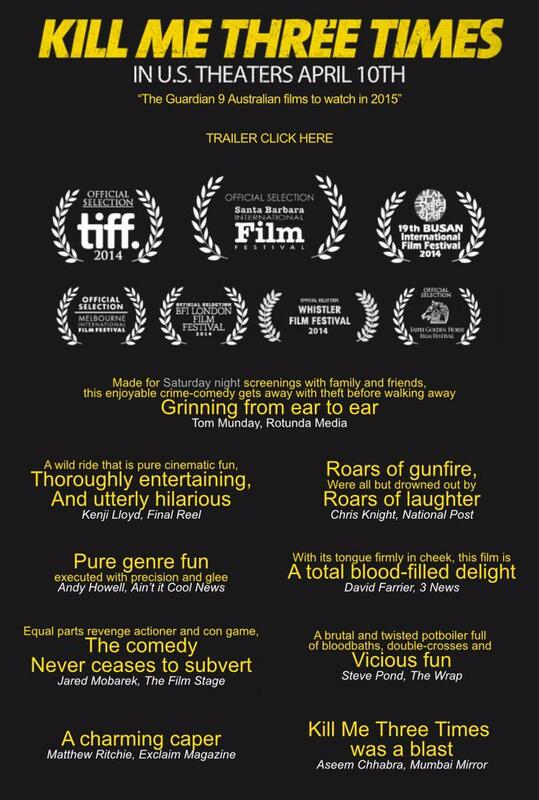 Kill Me Three Times looks hilariously deadly. Stenders’ crime thriller “Kill Me Three Times”. 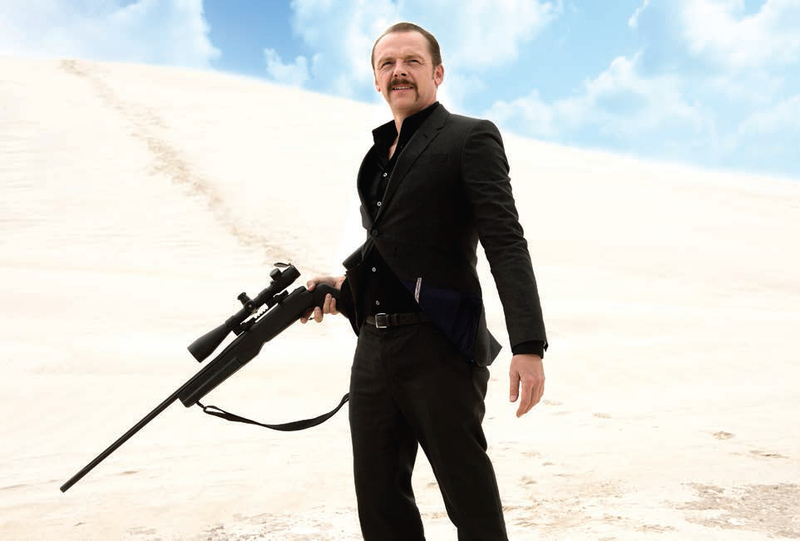 “I personally believe comic actors make the best kind of villain,” said Stenders on why he cast the goofy Brit for the role. 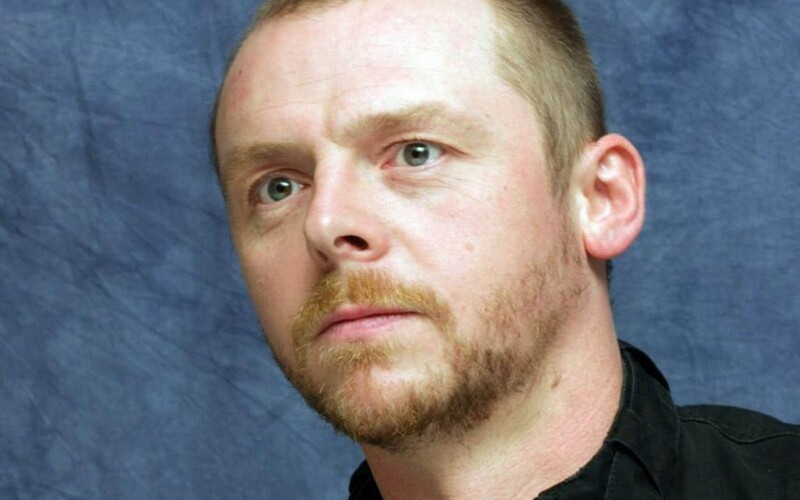 Simon Pegg has revealed he is relishing the chance to play a homicidal maniac in new film Kill Me Three Times.